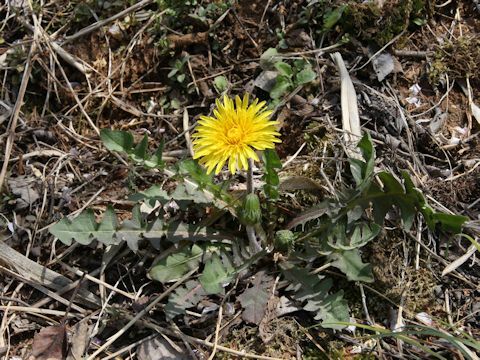 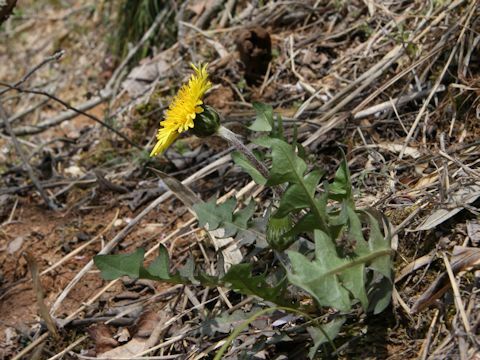 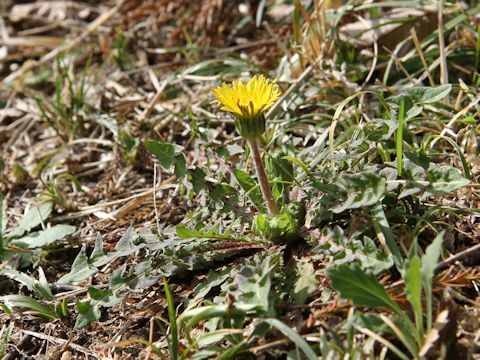 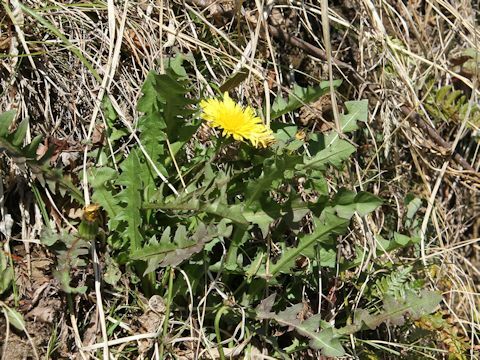 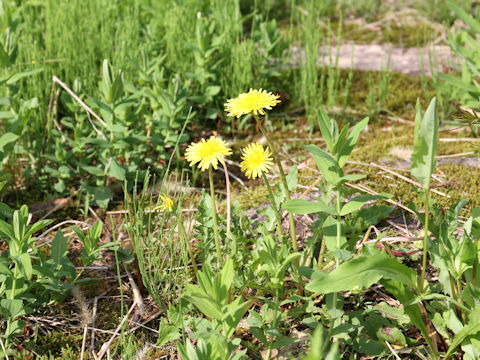 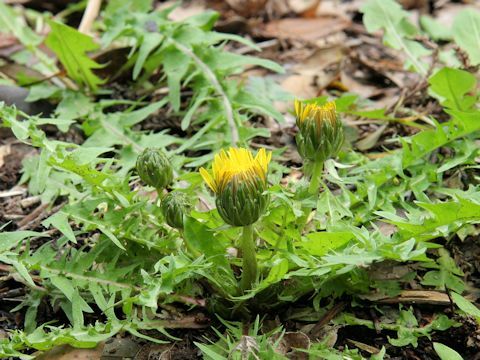 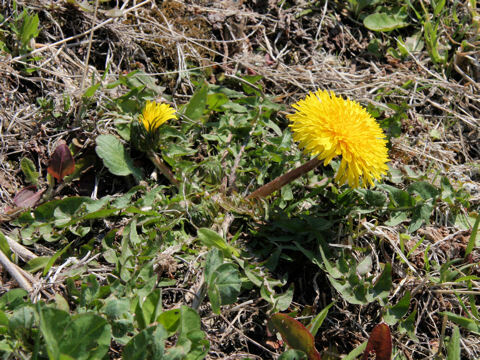 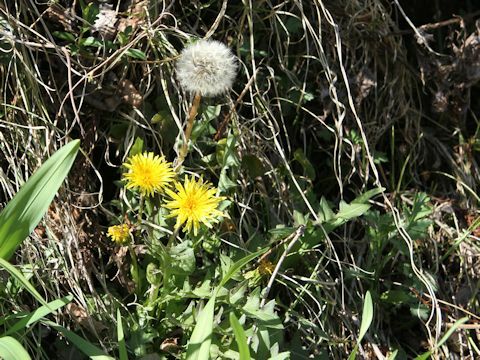 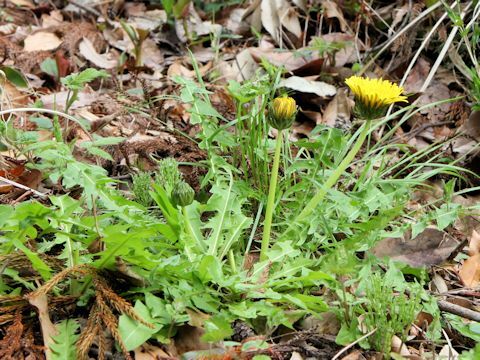 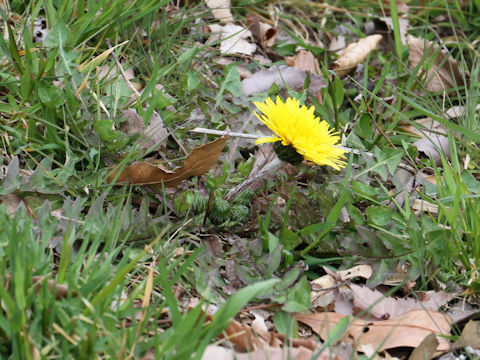 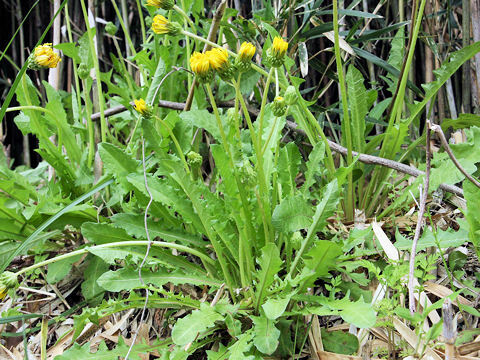 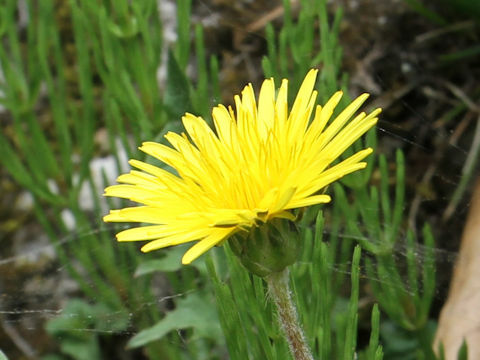 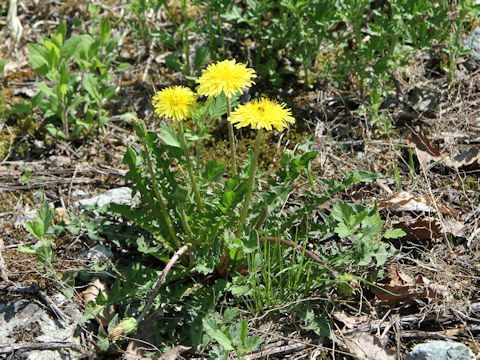 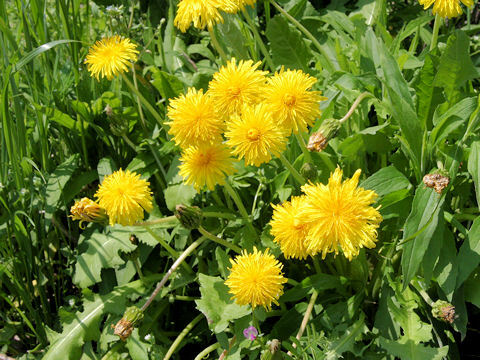 "Ezo-tanpopo" (Taraxacum hondoense) belongs to the Asteraceae (the Aster family). 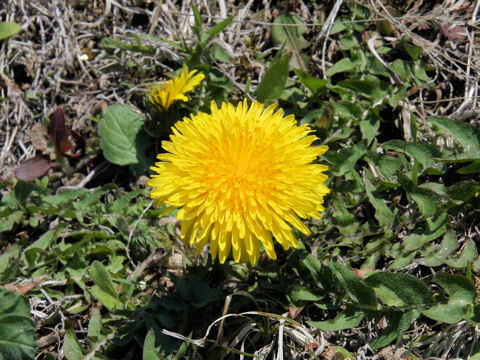 It is a perennial herb that is native to Japan, northward from Chubu district of Honshu to Hokkaido. 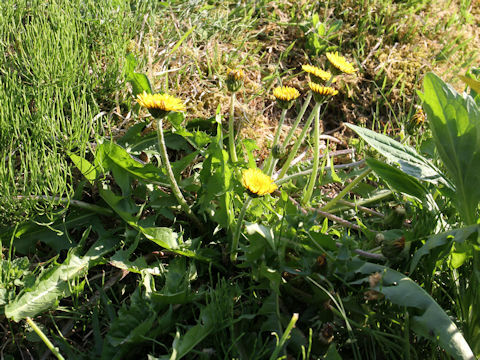 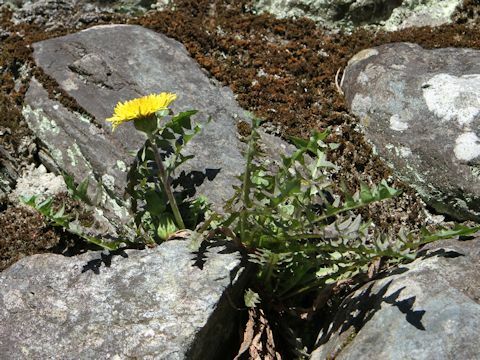 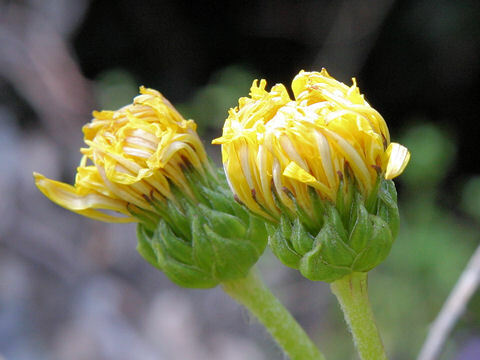 This herb grows in fields or mountains and can reach 25-30 cm in height. 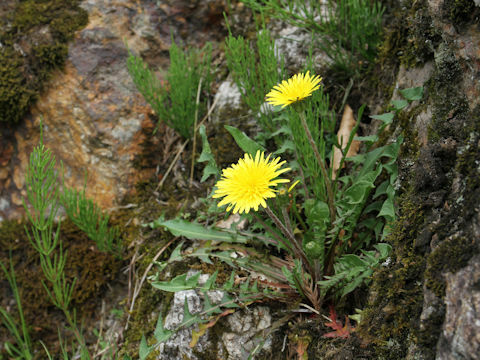 The leaves are oblanceolate or lanceolate and pinnatipartite. 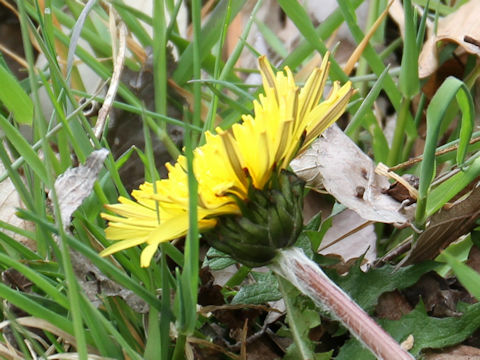 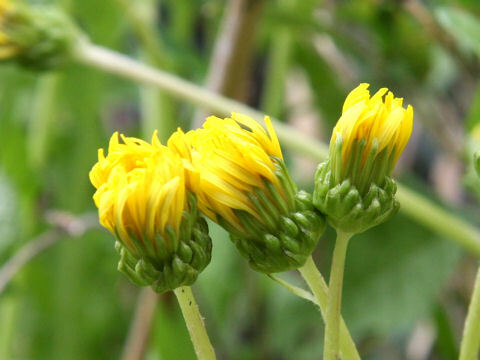 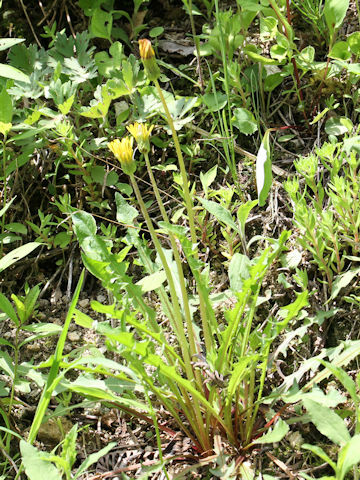 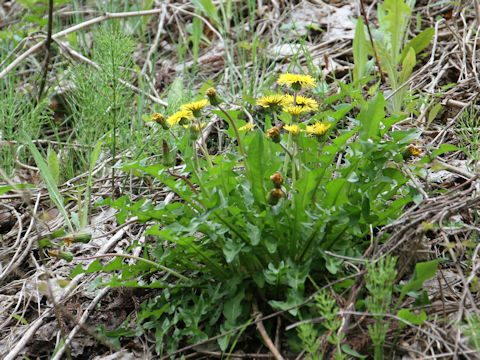 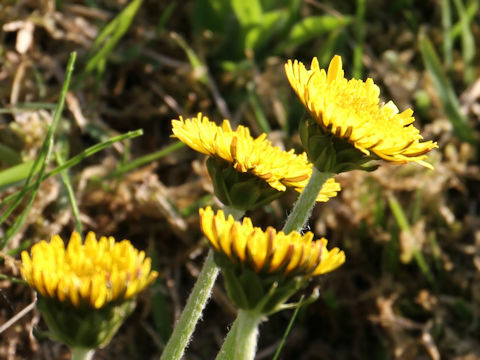 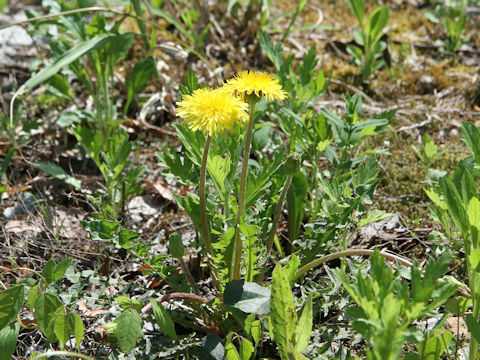 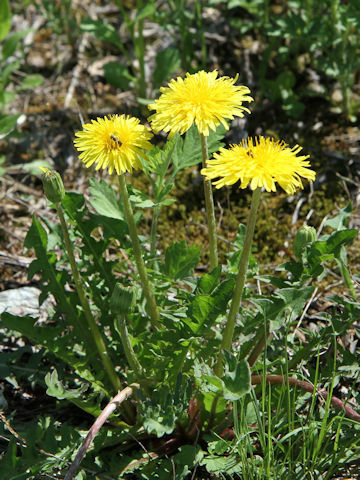 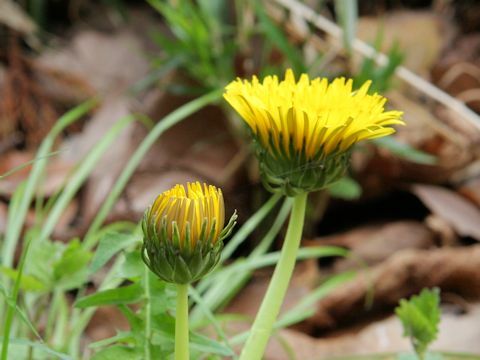 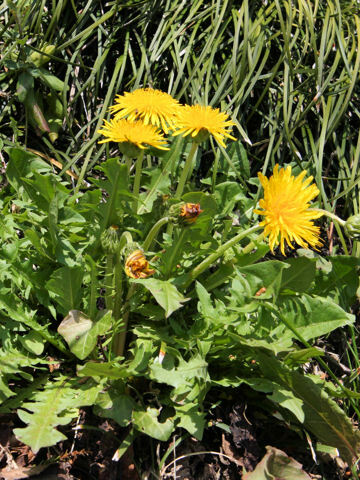 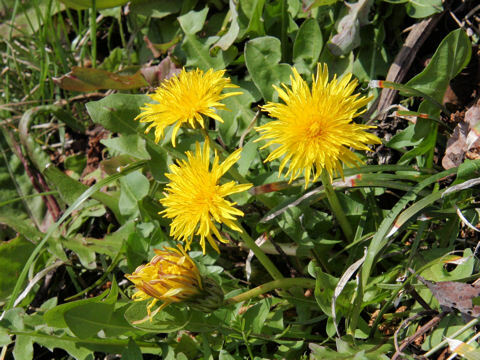 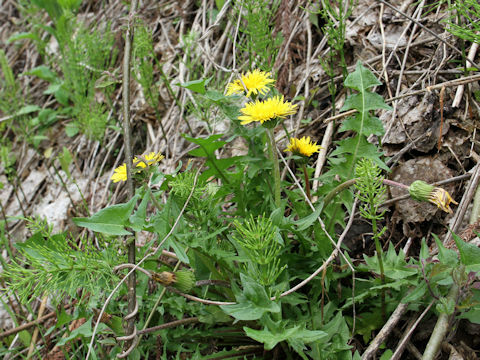 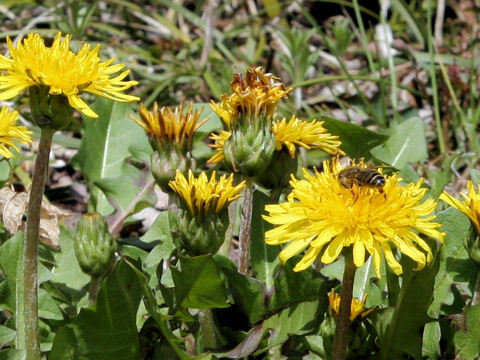 The dark yellow flower-heads come on the stalks from March to May. 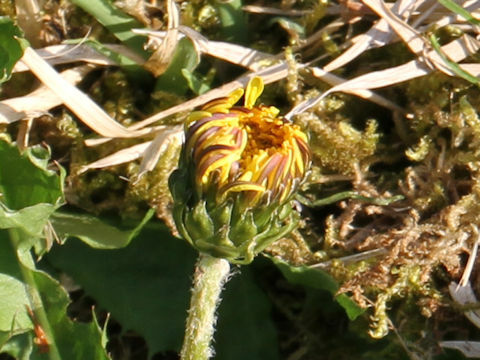 The outer involcal bracts are ovate to broad-ovate. 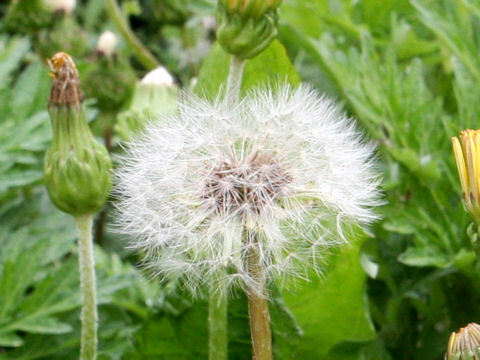 They have not usually triangular projections at the tips.